Amics del Nepal is a non governmental organization of development (NGO) nonprofit, created in 1995, with the main goal to give support and help to the children of Nepal. The work of Amics del Nepal focuses on the realization of projects of cooperation and of programs of support to specific groups of persons, primarily children, youth and women, in a direct way as well as in collaboration of Nepalese organizations. Amics del Nepal also has the goal to spread the cultural and social reality of Nepale through the realization and organization of activities of sensitization. Amics del Nepal cooperation projects with Nepal date back to 1995, the year of its creation. The projects have focused primarily on the construction and improvement of schools and centers for the assistance of children. For the past three years, programs in the districts of Kumarigal and Majubahal of Kathmandu, have been supported through economic and technical cooperation with the Spanish Society of Family Physicians and Community (semFYC) with the implementation of a primary care center for people in these neighborhoods. Along with the health project, a literacy program for women was launched with many positive results and objectives met. The Nando Peretti Foundation has awarded a grant for the proposed expansion and construction of a new Center for Health and Education in the Maijubahal district of Kathmandu. 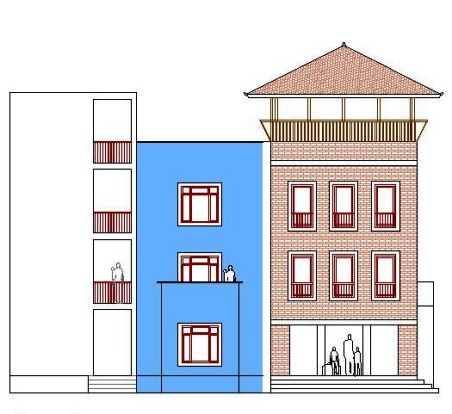 This is an improvement and expansion of the Health Center that Amics del Nepal (Friends of Nepal) started in 2007 with the support of the Spanish Society of Family Physicians and Community (semFYC). 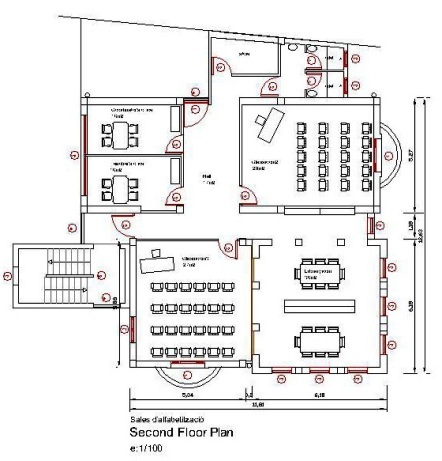 The current center is located in a rented one-floor building and the anticipated move is to a new municipal property in the same district, extending it by adding a new second floor. The project will therefore grow into a more complete program as the new building is expected to become a powerful center for health and education for the entire population of the district. The new second floor will be used for the Women's Literacy Program and a study center to reinforce the education of children in the neighborhood . For the past two years, Amics del Nepal has run a community center in a marginal area of Kathmandu utilizing the expertise of local professionals. The center includes three coordinated projects of education, literacy training and health while using an integrated community approach. This center is a facility of primary health care where free medical services are provide to people of lower socioeconomic status, like the beneficiaries of the Women's Literacy Program and the children's educational program. The projects are being implemented with the participation and support of the city of Kathmandu, the district and the community. Much of this support comes from the fact that future management responsibilities will be transferred to community members. 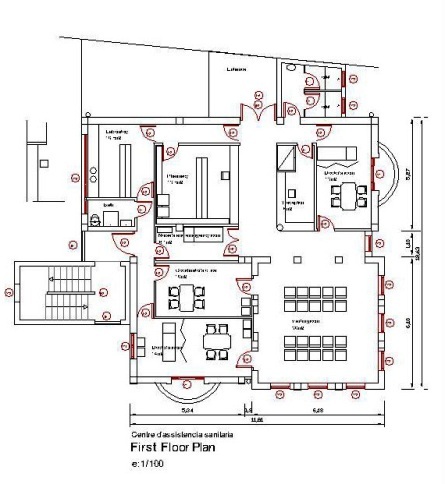 That is why Amics del Nepal is planning to build two new floors in a building already owned by the municipality and has been asked to create an NGO information center and to design appropriate spaces for use, allowing for the project to be sustainable long after NGO support is removed. The new facility provides for two distinct services: the first floor will focus on primary health care and the second floor will be for the school and training of neighborhood women and children. It is important to note that since 2007, Amics del Nepal's a Women Literacy Program has had significant positive results with the creation of 20 women groups, with nearly 500 women beneficiaries of different educational levels. In addition, since 2004 the supplementary educational program for children of the neighborhood has resulted in over a hundred children benefiting from the program through scholarships from Amics del Nepal. The staff of the health center was selected by public call notice in local newspapers and then through interviews with by the head of Amics del Nepal Barcelona and member of Amics del Nepal Katmandu. • People involved in the programs of the center have been selected according to their resume and a socioeconomic and demographic assessment through a visit by a social worker. c. People from lower social strata that live in "slum areas" identified by the social worker from the center (they are issued a health card from the health center). This identification work is in progress. 75 families have been identified and surveyed with an average of 4 family members or 300 people. Mitra Kunj Nepal (MKN) is a sister organization of Amics del Nepal Barcelona for the management and supervision of all projects and facilitates and strengthens local capacities. MKN manages ongoing projects of ANB and identifies new needs and developing projects that are evaluated by the two entities, working together to decide on the best manner to proceed. The role of the local Nepali counterpart is economic management, contract work, purchasing of materials, logistics supervision, monitoring and communication. This project cofunded by the Nando Peretti Foundation aims to construct a health and education social center for the district Kumarigal which will (potentially) benefit the entire population. The population registered in 2001 (the last national census) in Ward No. 7 of Kumarigal is 39,530 inhabitants, of whom 21,081 are males and 18,449 are women. 1. Students of the educational program: 150 pupils between ages 5 and 14. Regulated education offered to children from "low castes" or from low socioeconomic levels. 2. Women Literacy Program: 350 women between ages 16 and 45. Some of these women are mothers of students in the educational program. All are illiterate and from low socioeconomic backgrounds. 3. People from lower social strata that live in "slum areas": currently 75 families have been identified and surveyed with average of 4 family members or 300 people. With the great shortcomings of the health system in Nepal, a high prevalence of infectious diseases, poor nutritional and hygienic conditions, economic problems and established use of Ayurvedic medicine, the promotion of health centers in the area is of great public interest. On the other hand, developing countries like Nepal have large disparities of health within the country and this is due to the socioeconomic differences of the inhabitants. Educational levels produce a gradient of similar to health risks caused by social classes. As the educational levels are closely related to levels of lack of resources, one of the key strategies will be to remove cultural, financial and other barriers hampering equal access. That is why a primary care center to meet the necessary sanitary deficiencies must be accompanied by a strong educational component that will gradually solve the root of these problems. The success of the health and education project and the involvement and participation of beneficiaries will be felt by the entire community. The offering of a building by the municipality in order to expand the services into a health and education center is a step in the right direction and shows the interest and participation of the local community. It is a tool for future sustainability of Kumarigal, in addition to creating a space that meets the needs of the project. The aim is to transfer the management of a community center in the future to local representatives, so building on municipal land is appropriate while also eliminating the cost of purchasing the land.